"Brought to life by a poetic and muscular style, Jenkins's writing is a brew of history, philosophy, and raw emotion. His journeys are as intellectual and spiritual as they are physical, and we are by his side, in his head." So wrote Robin Russin for the LA Times about Mark Jenkins's last book, The Hard Way. In A Man's Life, Jenkins walks across northern Afghanistan, retracing the ancient route of Marco Polo; clandestinely enters northern Burma, slipping along the forgotten Burma Road; climbs a new route in Uganda's Mountains of the Moon; bicycles across Lithuania with a long-lost friend; canoes through Surinam with the Maroons, descendants of escaped slaves. Described by critic Bill Berkeley as having a "Whitmanesque openness to experience," Jenkins's desire to explore and understand the world has pushed him to extremes most of us cannot imagine―being arrested in a dozen different countries from Tibet to Tajikistan, breaking a dozen bones, climbing inside glaciers in Iceland, narrowly escaping falling glaciers on Mont Blanc. Through his willingness to put himself out there, Jenkins captures profound glimpses of our chaotic, contradictory, ever-morphing world. A Man's Life shares how these experiences change Jenkins from a reckless young globetrotter to a mature, contemplative family man who seeks adventure because he viscerally must, and yet is constantly aware of the dangers of the world and its cool-faced indifference to one man's life. Each departure from home could be permanent and each homecoming is layered with pathos―his latest journey might have cost him his daughter's first steps or his wife's birthday. The tales in A Man's Lifeexplore the razor's edge between life and death, as well as the nature of love and friendship, failure and redemption. Together, they unite Jenkins's stunning travels with his lucid contemplations on the meaning of it all. Praised by Richard Bernstein in The New York Times for being able to "[transform] a common sight into a moment of pure magic" and by Amanda Heller in the Boston Globe as "blessed with a rare combination of physical and intellectual grace … he makes us understand what pushes the man who pushes the envelope," Jenkins is one of the rare writers who channels action-packed adventure into lyrical, evocative storytelling. Adventure writer Mark Jenkins has journeyed around the world, crossing wild country, probing the hinterlands, getting arrested over a dozen times. He has made a life out of doing things the hard way. The result is a book that dives headfirst into adventure and experience. 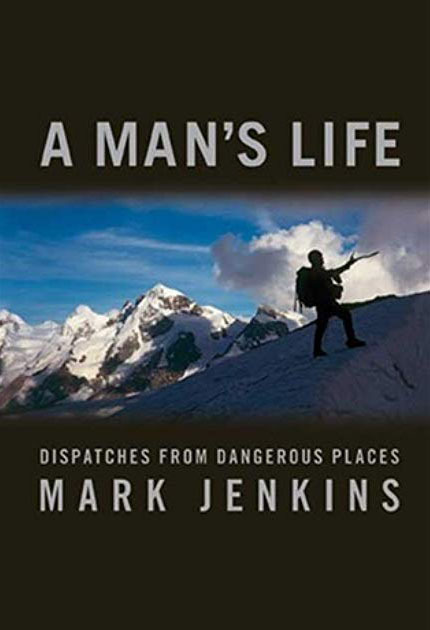 Jenkins transports the reader with him as he climbs the ice-encrusted Italian Ridge of the Matterhorn, sea kayaks from battlefield to battlefield along the Turkish coast of Gallipoli, sneaks across Tibet to reach Buddhism's holiest lake, descends unexplored canyons in Australia, and traverses the war-torn Simen Mountains of northern Ethiopia. If you've ever dreamed of escaping, lighting out for the unknown, read this book. In a world increasingly vicarious and secondhand, we all long to make decisions that matter, decisions of consequence. This is precisely what the outdoor life still requires. The Hard Way is a book about doing, not watching -- about leaping before you look. Traveling with Mark Jenkins is a mixture of the daring and the dangerous, the dramatic and the absurd. Here, he and three friends, with the aid of a remarkably intuitive African guide, set out to attempt the first descent of the Niger River, the legendary city of Timbuktu their final goal. Along the way, they are attacked by killer bees, charged by hippos, stalked by crocodiles. They pass through villages where every female child has undergone a clitorectomy, stumble upon a group of completely blind men living in the bush, dance with a hundred naked women. That Jenkins reaches his goal, riding alone across the Sahara on a motorcycle, stands in sharp contrast to what befell those who first tried to find Timbuktu and whose fates the author interweaves with the narrative of his own adventures. With this brilliant account of his journey―at once edge-of-your-seat exciting and literary―Mark Jenkins established himself as the master of adventure/travel writing. 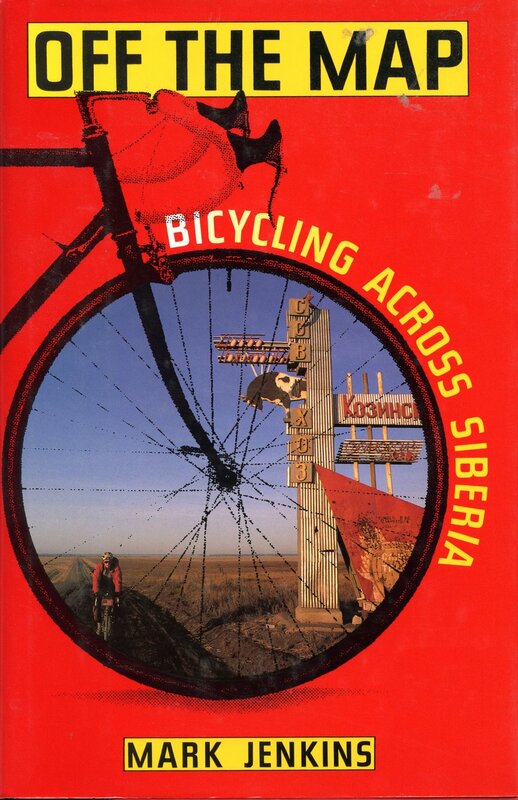 In 1989 he and six companions―two Americans and four Russians―set out on an arduous, first-ever crossing of Siberia by bike, cycling across rutted dirt roads, swamps, the Ural Mountains, and through Moscow and Leningrad. This beautifully repackaged edition of Jenkins's travel classic vividly chronicles the highlights of this amazing voyage, including a month spent biking through an 800-mile swamp and the team's interactions with some fascinating characters―from the widow who makes Mark sleep in her dead son's bed to the Lithuanian searching for the concentration camp where his wife spent her childhood. Combining the exhilaration of record-setting adventure with thoughtful introspection, Jenkins's words allow readers to recognize the extraordinary in the day-to-day lives of ordinary Russians. USA Today called Off the Map "a literary epic." Newsweek declared "the ornery, observant Jenkins [is] good company on every page." And Robert Pirsig, author of Zen and the Art of Motorcycle Maintenance, wrote: "Jenkins is a master of the fundamental writer's talent: an ability to see things in new ways, as no one has ever seen them before."